Keep your little ones warm and comfortable as you dress him up in this full sleeves jacket and lounge pants set from Doreme. Cute 'Dino & Robot' print makes it visually appealing. Soft elastic waist lounge pants along with pull over style jacket makes an attractive set. Hood adds elegance of style to it. 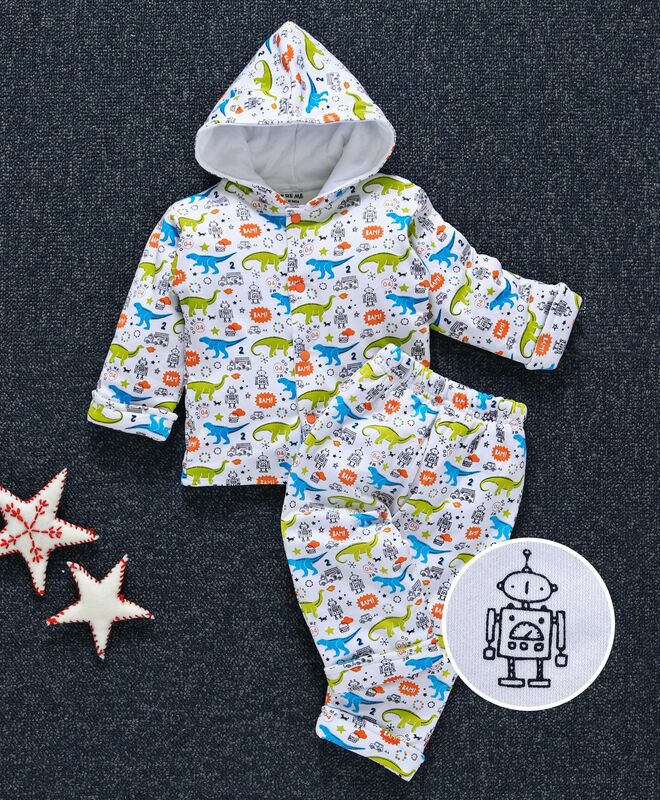 Made of soft fabric, this set will keep your kid comfortable all day long. Styling Tip: Pair it up with sandals or casual shoes.